Our Ogden appliance repair technicians come to you and provide fast affordable services. The repairs we perform cost a fraction of what it would be to replace the appliance in question. Dishwashers commonly break down or work inefficiently if they have not been services recently. Many people actually cause damage to their devices by placing items in them that were not intended to be in a dishwasher. If you have any questions as to whether something is dishwasher safe, wash it by hand. Garbage disposals are also commonly overused. This can cause them to become clogged, or require repairs. Fortunately, if this device breaks in your home, it is generally not very expensive to repair. We always recommend running cold water while running the disposal to ensure it works properly. We employ some of the most skilled and experienced technicians anywhere in the nation. Call us today to schedule a consultation. Dryers that are not working properly are one of the most potentially hazardous appliances in the home. Because of the way that they work, there is an inherent danger in their use. Lint, fuzz, and even clothing can be highly flammable, and they are exposed to heat inside of the dryer. Inspecting a dryer that is not working properly is important to ensure the safety of those around it. Changing the lint screen before every load of laundry is important to keep the system running smoothly. Common signs that a dryer may be malfunctioning is the smell of burning or cloths requiring multiple loads to be fully dry. Aside from the safety risks, significantly more power is used by dryers that are partially clogged. Washing machines also commonly break down. This can cause water damage to the surrounding areas of your home if it is not caught quickly. This can cause mold to build up, affecting the health of your loved ones. Washing machines often leak water in areas that are difficult to see, which can lead to potential complications. 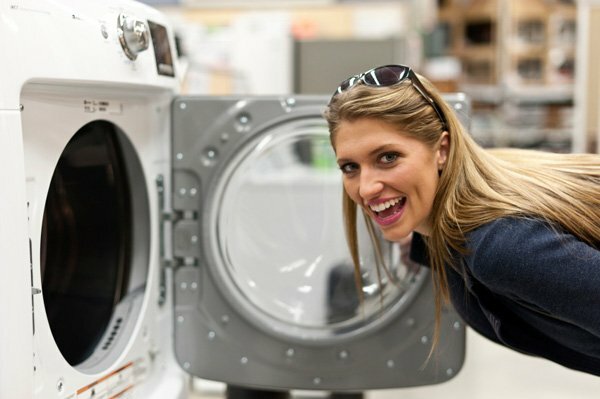 We are experts are repairing all types of damage to the most popular types of home appliances. Ovens and ranges are some of the most expensive items in the kitchen. They do not break down very often, but when they do, they are very expensive to replace. We have a large amount of experience dealing with all of the most popular makes, models, and brands. We also keep parts for the most popular models in stock to help speed our repairs. To help extend the life of these appliances, and to help save on electricity bills, here are several tips. Turning the oven off several minutes before the food is done cooking is a good idea as the ambient heat in the oven will continue to cook the food. When using the heating element, be sure it closely matches the size of your cookware so excess heat is not wasted. Call us today to schedule an appointment with one of our Ogden appliance repair professionals.